Tracy has lived in Idaho since 1998 and attended Northwest Nazarene University, obtaining a masters degree in social work, working in the field for 15 years. Tracy and her husband Casey live near Homedale, Idaho with their two sons. Tracy has a passion for real estate, and prides herself in being trustworthy and loyal. Whether you are looking to buy or sell your home, Tracy can help you with your real estate needs. 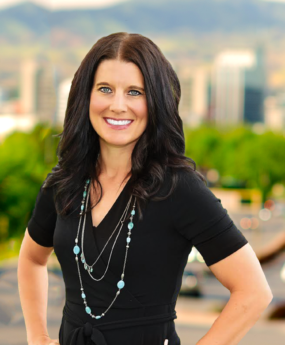 Tracy has hundreds of marketing websites at her disposal to market your home to a wide variety of buyers, including listing with Intermountain Multiple Listing Services. As a buyer, she will assist you in finding the home that fits your desires. Tracy is dedicated to her clients, and assures professionalism and honesty in her business.